I made this as a last minute dessert to take to a dinner. Pears are in season and this cake was simple to make, moist and tasty.I placed sliced pear on top of the caramel in a circular pattern and folded the rest as per the instructions. When the cake was turned out this was attractive. It was not too sweet. I served it with nice ice cream and pure thick cream. Left overs were nice next day. 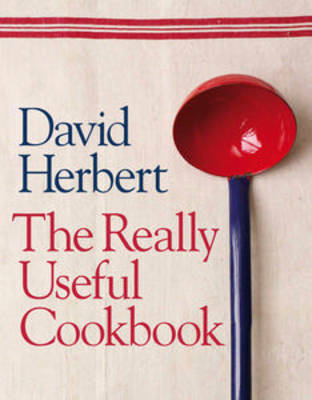 Whether you follow recipes to the letter or are a more instinctive cook in search of new ideas, David Herbert's book will work for you. In The Really Useful Cookbook, he takes 50 basic recipes and develops each of them, giving four variations that will expand your repertoire and improve your skills. For example, a step-by-step recipe for a classic risotto is followed by recipes for seafood and lemon risotto, red wine and sausage risotto, arancini (made from leftover risotto) and an irresistible white chocolate rice pudding - all derived from the master recipe. The recipes have been chosen not only to demonstrate really useful techniques, but also to provide a fantastic collection of some 250 dishes that cover everything from interesting ideas for quick suppers to coping with a roast lunch or dinner party for the first time. David's really useful ideas and tips will help you transform these dishes into something uniquely your own, and give you the confidence to take real pleasure in preparing food for yourself, friends and family.